GIVING BACK: It’s a “FULL HOUSE” of Child Stars Old and New at Starlight Children’s Foundation® 30th Anniversary & Wish List Launch! By Editor Tracy Bobbitt|2013-09-27T12:14:17-07:00September 27th, 2013|Categories: American Child Actors, CHILD ACTORS, Child Stars, Giving Back, In the News, THE BUZZ|Tags: 30th Anniversary, Anderson Group PR, bailee madison, bob saget, child star charities, child stars giving back, Clinical Operations Manager in Miller Children’s Child Life Department, disney child stars, former child actors, Former Child Stars, Full House, full house child actors, full house child stars, how to become a child actor, how to become a child star, Jacqueline Hart-Ibrahim, Jason Meugniot, john stamos, Miller Children’s Hospital Long Beach, Rita Goshert, robert wood johnson, Sierra McCormick, skirball center, Starlight Children’s Foundation®, Starlight Foundation ChairPerson Bailee Madison, stralight children's foundation, toys r us, young actors|Comments Off on GIVING BACK: It’s a “FULL HOUSE” of Child Stars Old and New at Starlight Children’s Foundation® 30th Anniversary & Wish List Launch! On Wednesday evening stars of all ages gathered to support Starlight Children’s Foundation and celebrate its 30-year history of innovation and support for kids and families with the Starlight Awards at the Skirball Center in Los Angeles. Organizations and individuals who have been critical to the advancement and success of the organization will came together to celebrate. 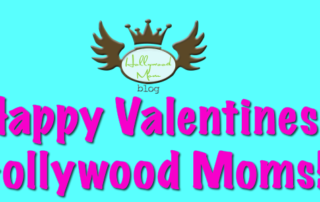 Happy Valentine’s Day from HMB & 4 Child Stars – PLUS #EscapeFromPlanetEarth WINNER! By Editor Tracy Bobbitt|2013-02-14T15:50:48-07:00February 14th, 2013|Categories: Give-Aways!, THE BUZZ|Tags: bailee madison, CHILD ACTORS, child actresses, child stars, chloe moretz, escape from planet earth, Hailee Steinfeld, Happy Valentine's day, Hollywood Moms, joey king, parents of child actors|Comments Off on Happy Valentine’s Day from HMB & 4 Child Stars – PLUS #EscapeFromPlanetEarth WINNER! INVISALIGN TEEN: Young Hollywood’s Secret to Smile Success! HMB EXCLUSIVE INTERVIEW: Bailee Madison May Be “Afraid of the Dark,” But She’s Conquered Orthodontic Fears With Invisalign Teen!